Museum Boijmans van Beuningen is internationally well known for the art it has on display. As a visitor you will find many European and Dutch masterpieces from the likes of Rembrandt, Van Gogh, Bosch, Magritte & Dáli. 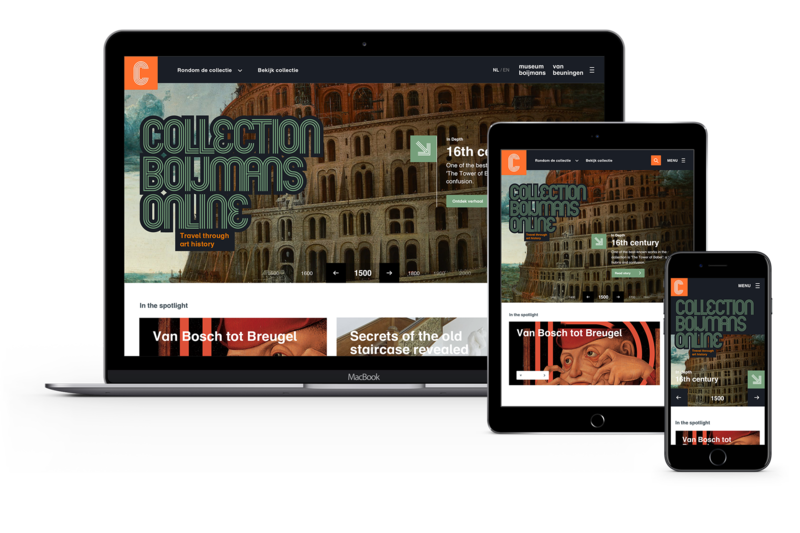 Being one of the first museums to publish imagery of their collection online, Boijmans now asked IN10 to improve the user experience of the online collection website. A visit to the Boijmans Van Beuningen Museum is a journey through the history of art. 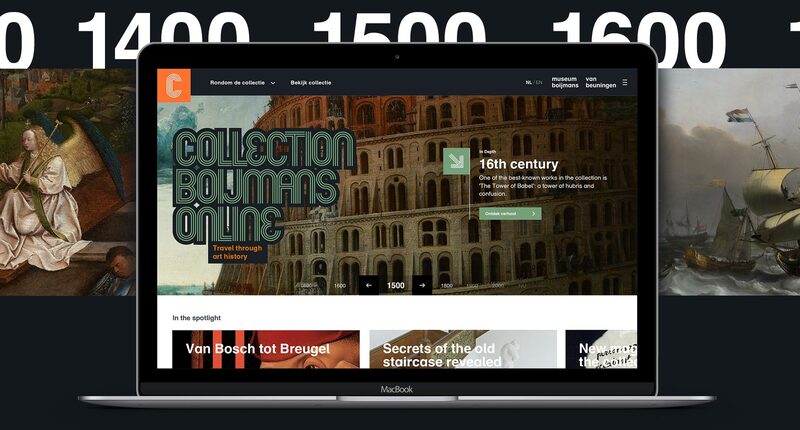 We wanted to guide visitors through many highlight from 1400 till present day. While walking around in the museum, you always see art in a context. For example you’ll see more work of the same artist, art movement, same theme, subject etc. 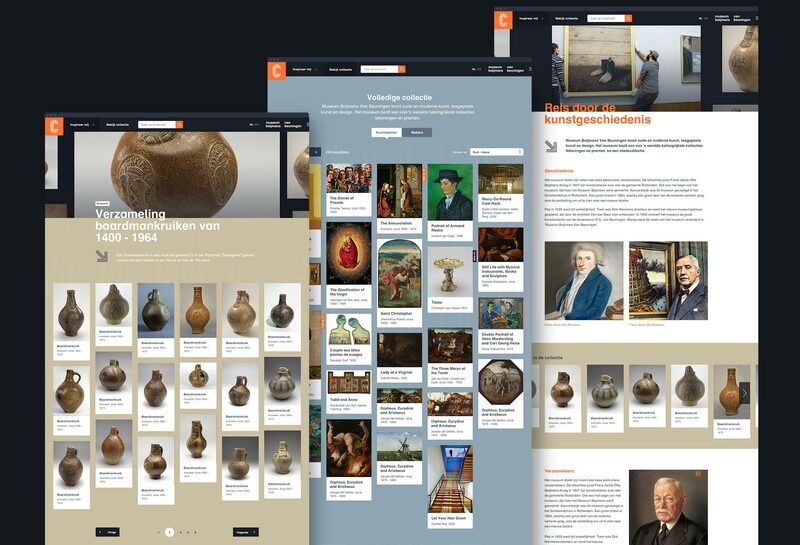 Rather than showing a single art piece, we designed that same visitor experience in the online collection website. 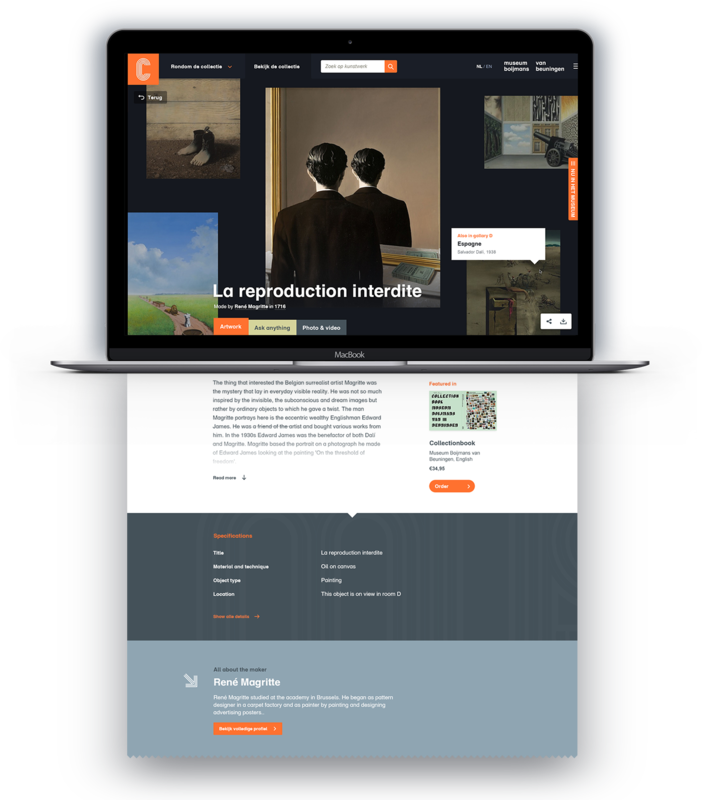 We created smart links between artwork so the visitor would easily discover new art and interesting insights. 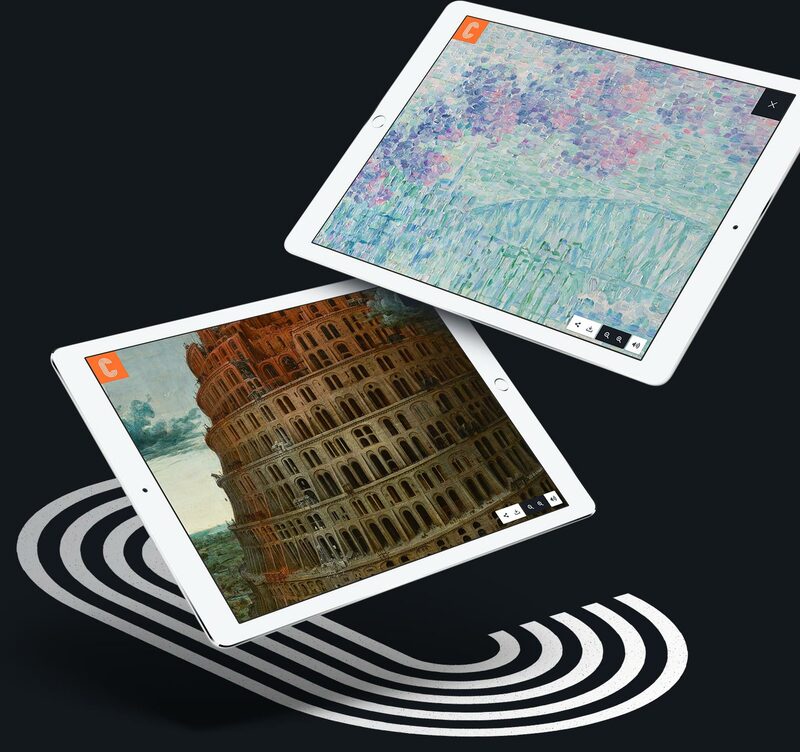 For the art fanatics we created the ability to completely zoom in onto the artwork. With voice-over commentary and high resolution imagery you discover every single detail you should know about.